I always struggle to walk past a junk shop without popping in for a quick look around for potential projects, that are crying out for some TLC. 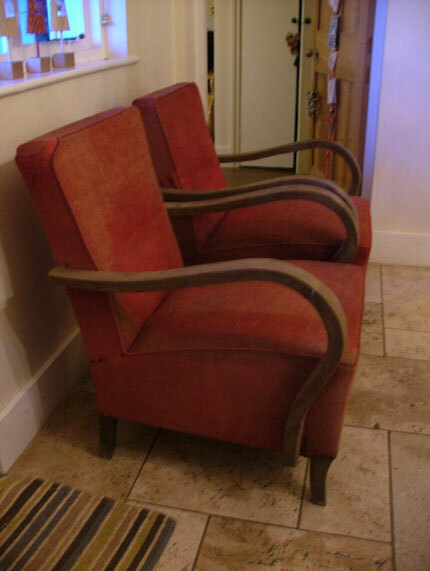 I have got to the point where I have run out of spare corners in my own home in which to put another occasional chair, but that doesn't stop me buying ! So if you want to take a browse through my latest finds, which are in need of a loving new home and waiting to be re-upholstered in a beautiful new fabric of their buyers choice, take a look at the section below. If anything takes your fancy, use the Contact Me section to get in touch. 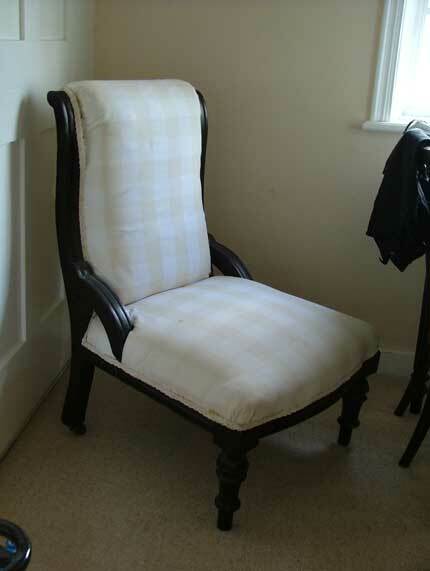 I have replaced the rubber webbing on this chair and purchased new cushions for the seat and back, which can be upholstered in the fabric of your choice. The frame can be rubbed down and either restained or painted as you desire. This petite little nursing chair is ready to be covered in the fabric of your choice. This chair with it's drop in seat would be useful as a bedroom chair or desk chair. 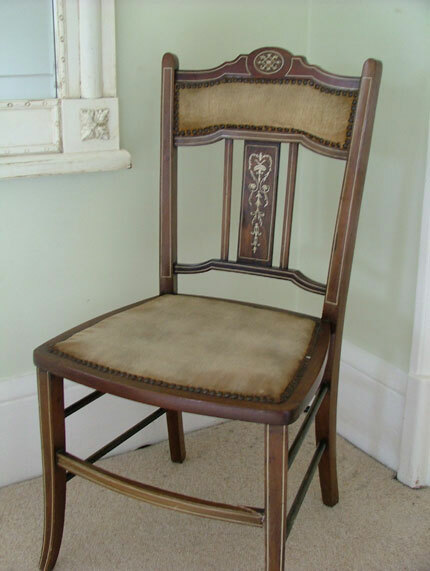 It could be be repainted for a completed different look, or left as it is and just reupholstered in the fabric of your choice. 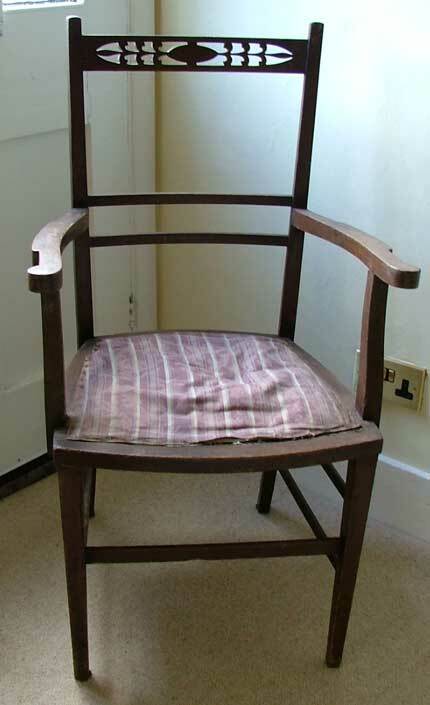 This lovely elbow chair will be rewebbed and restuffed prior to reupholstering it in the fabric of your choice. 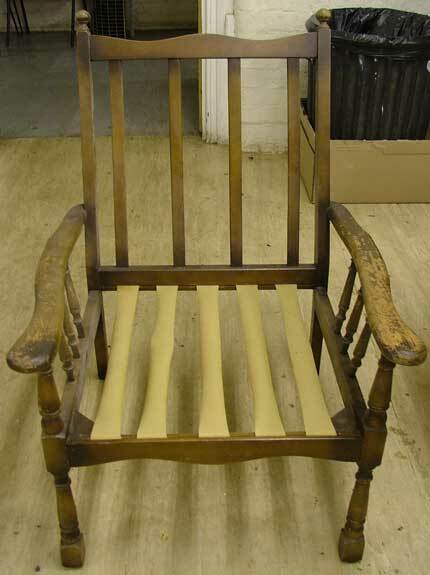 The frame could be restained or painted according to look you are after. 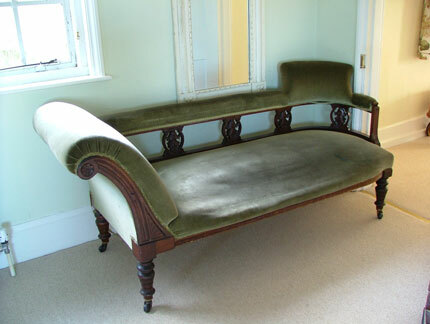 I love the shape of this chaise, it currently needs respringing, but once I have done this it will look stunning in new top fabric. 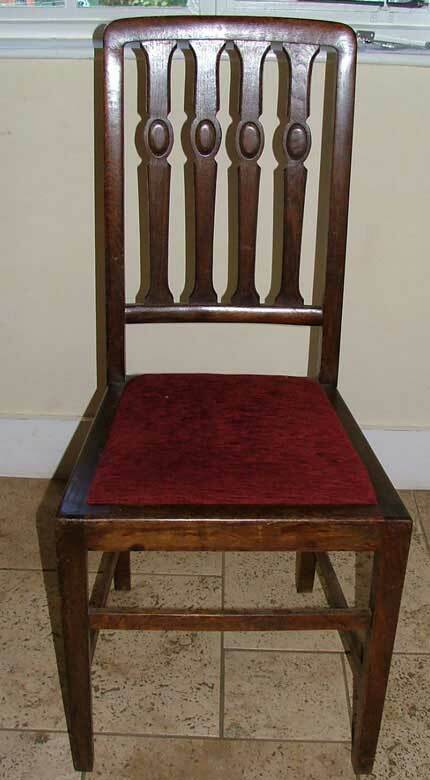 This dark wood chair is ready to be reupholstered in the fabric of your choice. 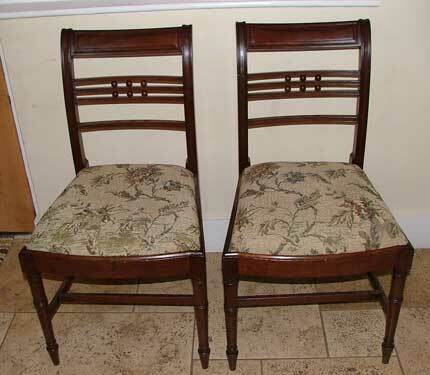 This pair of 19thC mahogany dining chairs will look really smart once upholstered in a new top fabric. 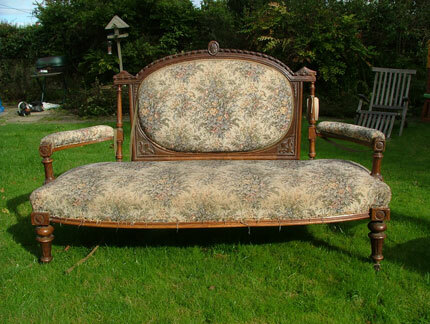 This Edwardian Settee came with the two chairs below. They can be sold together or as individual pieces. They would probably benefit from being painted. 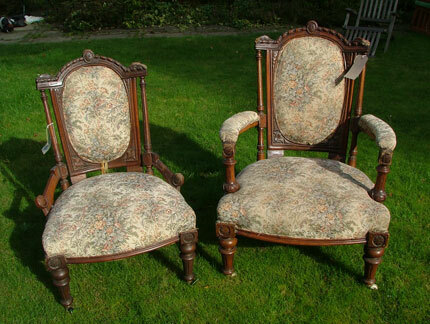 These walnut chairs came with the edwardian settee above. They have some wear to the frames, so would benefit from being painted. 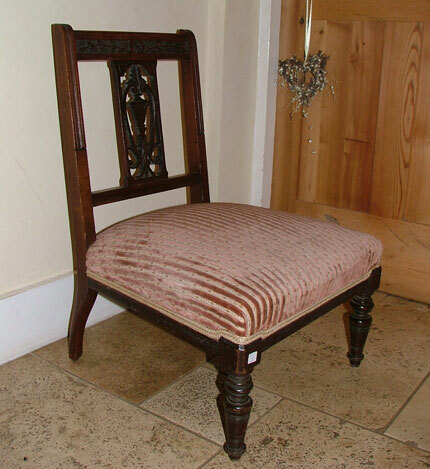 This petite chair is very pretty and will look lovely when recovered.